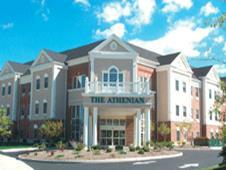 The Estate of Harland Olsen has filed a wrongful death lawsuit against Athenian Village Assisted Living Facility. Harland Olsen died on November 25, 2016, 5 days after falling 3 times in a single day at Athenian Village Assisted Living Facility in North Royalton, Ohio. According to the lawsuit, Harland Olsen was an 87-year-old man who moved into Athenian Village approximately 10 months before his death. On November 20, 2016, at 5 am, Athenian Village staff documented Harland Olsen falling trying to get into his wheelchair. His feet were cut and bleeding. Athenian Village staff wrapped his feet, creating a fall hazard and unsafe condition.
. . . staff did not alert his family or other care providers to the fall or injuries, or to the improper and unsafe bandaging. Athenian Village staff took no steps to prevent Harland Olsen from falling again. Four and a half hours later, at 9:30 am, Athenian Village staff document finding Harland Olsen on the floor, confused, with his foot bandages saturated with blood. 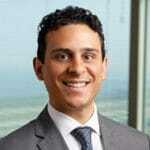 . .
No one sent Harland Olsen to the hospital for evaluation of his confusion for possible head trauma or other injury. Athenian Village took no steps to prevent Harland Olsen from falling again. Five hours later, at 2:30 pm, Athenian Village staff document finding Harland Olsen on the floor of his bathroom, severely confused, with his pants off, not understanding where he was. Harland Olsen was complaining of pain to his chest. . . .
An hour later, at 3:30 pm, one of Harland Olsen’s daughters arrived, observed her father’s complaints of pain, confusion, and poor state of health, and ordered Athenian Village to send him to the hospital. It was discovered at the hospital that Harland Olsen was seriously injured by the falls. Harland Olsen died five days later, still in the hospital, from the injuries he sustained from the falls at the Athenian Village. The Estate of Harland Olsen filed this lawsuit against Athenian Assisted Living, Inc., the corporation that owns and runs Athenian Village. 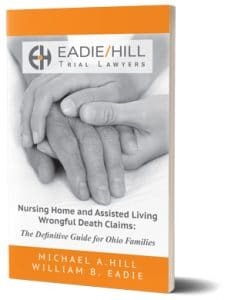 The lawsuit is brought by Cleveland assisted living facility abuse and neglect lawyers Eadie Hill Trial Lawyers, who represent families in nursing home and assisted living wrongful death cases. The Estate seeks damages for breach of contract, pain and suffering Harland experienced before his death, and wrongful death damages for his surviving family members. The lawsuit also seeks punitive damages as a means to punish Athenian Village and discourage this type of behavior in the future. You can read the complete lawsuit below. Falls commonly cause deaths at assisted living facilities and nursing homes. Poorly staffed nursing homes and assisted living facilities are a major source of danger to residents. When there are not enough people to care for nursing home residents, elderly patients go without the help and care they need. Understaffing is a risk factor for falls at nursing homes and assisted living facilities. Call lights may go unanswered. The result is that the elderly resident may attempt to get up and go to the bathroom on their own when it is isn’t safe to do so. This results in falls and injuries. Assisted living facilities and nursing homes should have safety alert systems that allow residents to call a nurse in the event of an emergency. Bathrooms must have an emergency pull string. Every bed should have a call button nearby. These systems can prevent falls and they can allow a prompt response to an emergency. However, they are only effective if the resident is mentally capable of consistently using them. Many elderly people do not understand their limitations. Some elderly residents will also simply forget to use these lights on occasions because of memory difficulties. Nursing homes and assisted living facilities must periodically assess their residents to determine who can use these alert systems and who cannot. 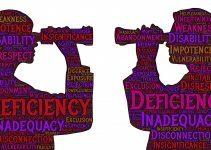 As we age, our eyesight declines and we are not as adept at navigating our surroundings as we once were. Dim lighting is dangerous. 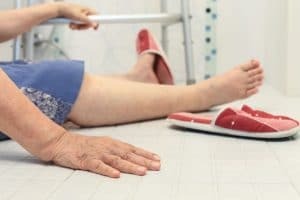 Poor lighting can cause nursing home and assisted living residents to trip and falls. 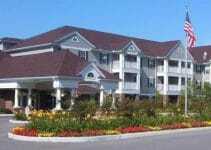 Nursing homes and assisted living facilities should ensure that lighting is appropriate. This is sometimes as easy as changing a bulb. The more medications we take, the more likely those medications are to have an effect on us. 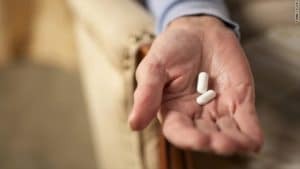 It is no secret that medications in the elderly can cause falls and other serious injuries, including death. Over-medication of elderly patients is an epidemic in nursing homes. The more medications a senior takes, the greater the risk of a dangerous pharmaceutical interaction or overdose. Nursing homes and assisted living facilities frequently overmedicate seniors or provide the wrong medication to seniors causing death. Nursing homes and assisted living facilities must ensure that there are no obstacles in walkways. Cluttered hallways, food trays next to beds, and laundry hampers left in walkways are all common causes of falls. 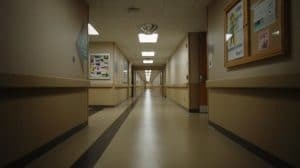 Poorly maintained flooring surfaces are a leading cause of falls in nursing homes. There is no excuse for this kind of disrepair. 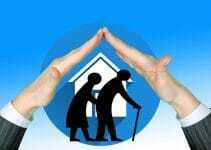 Nursing home abuse and neglect poses a serious risk to seniors in residential care facilities. You should know the signs of abuse and neglect so you can save your loved one’s life. Falls are a leading cause of death in the elderly. may be so weak they cannot stay on their feet causing them to fall. Nursing homes must prevent infections and to treat infections as soon as they occur. Inadequate security is a common problem in nursing homes and assisted living facilities. This commonly a problem for patients who are risk of wandering off, also called eloping. The most common cause for wandering off is Alzheimer’s dementia. Nursing homes and assisted living facilities must assess residents to find out if they are at risk for wandering off. Patients with dementia and other memory issues should not have access to unlocked exits or open stairwells. Either of these poses a serious risk of injury or death. If a loved one has been seriously injured or died because of neglect at a nursing home or assisted living facility, be sure to contact an elder abuse and neglect attorney to get answers.